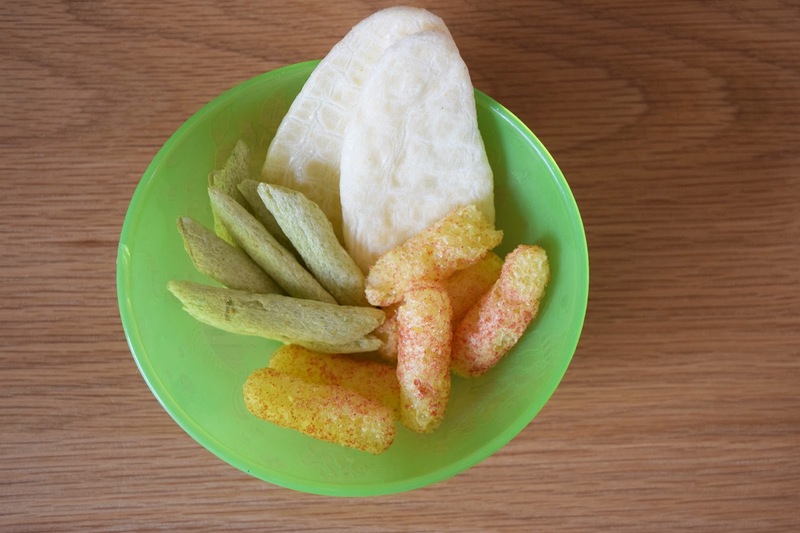 Is anyone else's child obsessed with snacks? 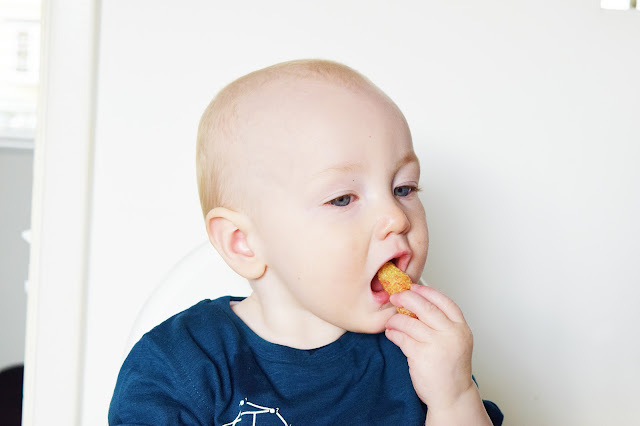 Ethan loves all sorts of crispy snacks; from the little corn puffs to bread stick and of course the elusive rice cake. All I can say is don't come between him and a rice cake, he guards them as fiercely as I guard my chocolate. 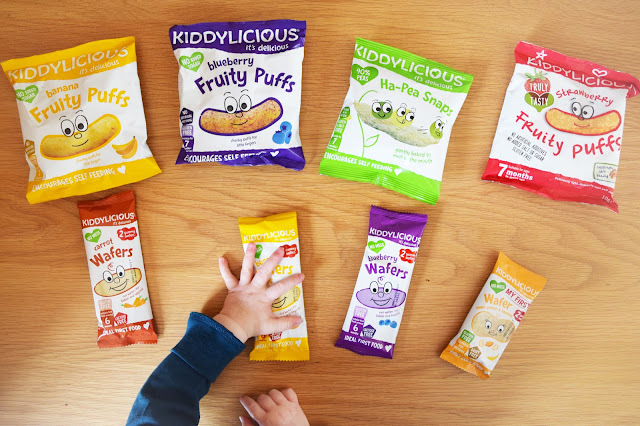 When the lovely folks at Tesco Baby Club got in touch wanting to know if we wanted to review some Kiddylicious snacks I jumped at it. I had seen them in some of my friend's changing bags but as yet we hadn't tried them. I only even buy Asda or Aldi's own brand of baby snacks so I was intrigued to see if a leading brand were on par or better than the supermarket's own range. We were sent a mixture of fruity puffs, pea snaps and wafers and Ethan would have inhaled them all given half the chance. I put a selection in a bowl for him at snack time and that boy did not come up for air. The wafers were a definite winner but nothing was refused. It can be difficult to give healthy snacks when you are out and about especially if you're like me and forget to pack the fruit (every time!) but the Kiddylicious range are perfectly sized to keep in your changing bag and whip out when needed. 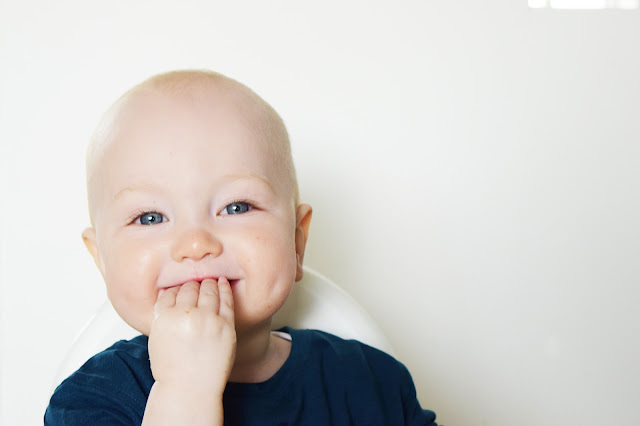 They have no added sugar and have no artificial nasties so are ideal for those sensitive little tummies. 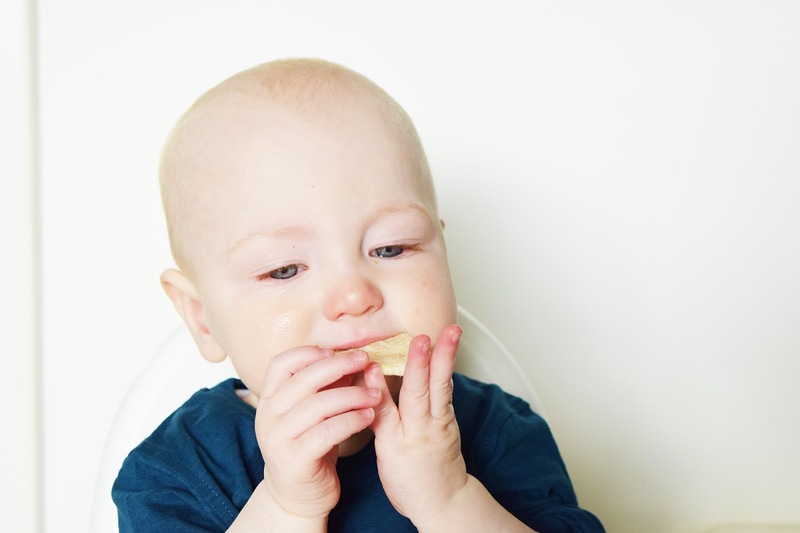 They are also ideal if you want to encourage self feeding and dissolve in the mouth easily therefore reducing the risk of choking (that was my biggest fear when I started weaning Ethan). 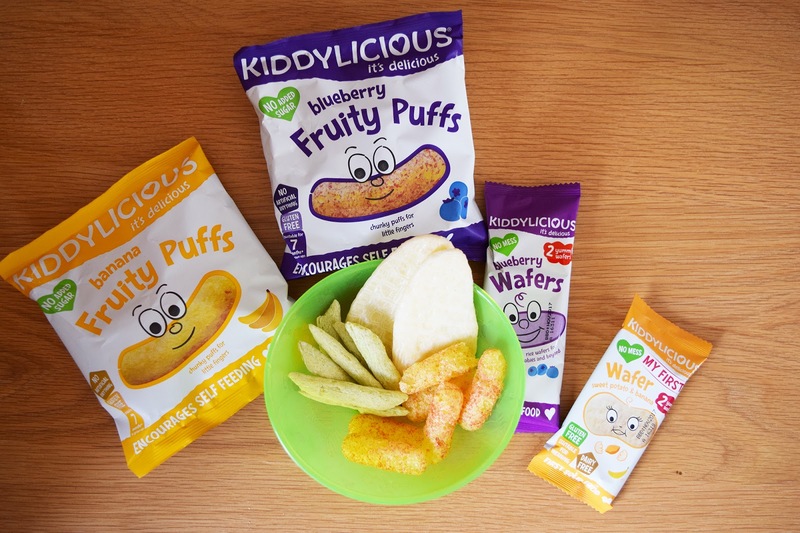 Thanks to Kiddylicious and Tesco Baby Club for allowing us to review these fab little snacks, I'll definitely buy more of the wafers in the future.